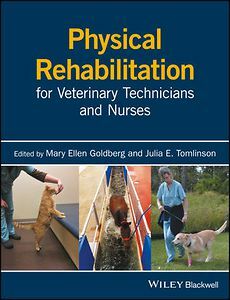 Physical Rehabilitation for Veterinary Technicians and Nurses is a concise, practical introduction to all aspects of veterinary physical rehabilitation. Written and edited by certified rehabilitation assistants and veterinary specialists, this book equips the reader with the information needed to become a valued member of a veterinary rehabilitation team. Topics covered include joining a rehabilitation team, pain management, communicating treatment, nutrition, hands-on therapy skills, home and therapeutic exercises, client and patient support, patient motivation, and troubleshooting. Physical Rehabilitation for Veterinary Technicians and Nurses is an indispensable resource for veterinary technicians and nurses, as well as students interested in pursuing a career in the veterinary rehabilitation field.